Because beige is no way to start the day. Swap in new throws and pillows for a seasonal change. Or switch up the bedside table by adding a new piece of art, no hammering required. Here’s the secret to nautical decor that’s not over the top. Use stripes in varying widths and shades to keep the traditional red, white and blue palette feeling modern. Nestled between twin beds, a dresser offers storage and acts as a nightstand for both of a room’s residents. Add a pair of brass lamps for a unified look — and extra reading light. Highlight your favorite piece with subdued surroundings. Neutral walls, carpeting and bedding make the perfect backdrop for a master bedroom’s focal point: a big, bold seascape. More really is better when it comes to filling up a boring, blank wall. Upholstered with crisp white linen, a traditional bed frame feels fresh paired with a series of canvases. 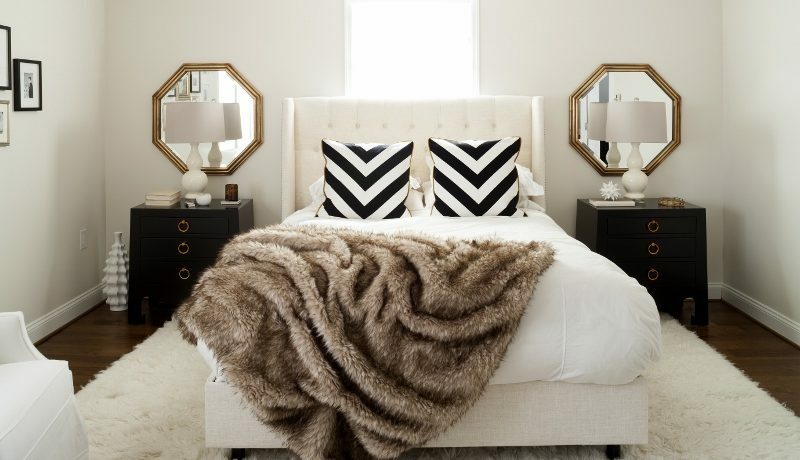 Mix and match your ideas for your perfect bedroom decor.